Vibrant Spring colouring makes this wide brimmed hat in Lipstick Pink and Turquoise an 'eye catcher' ! 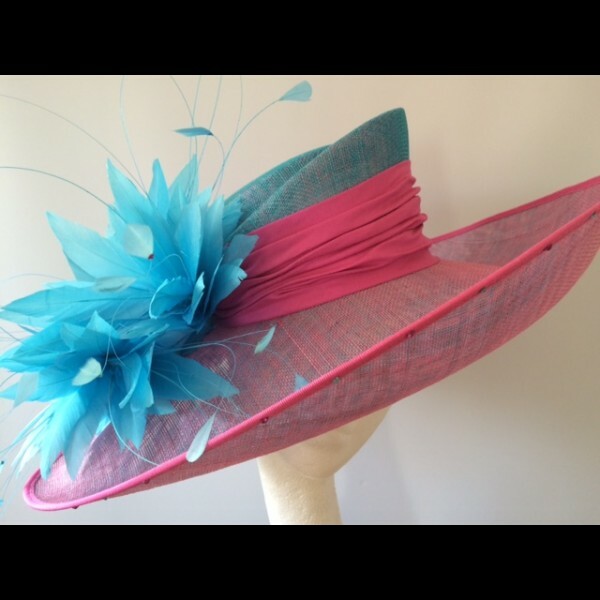 Turquoise and Lipstick Pink sinamay are combined to create this wide brimmed hat. The wide upturned brim measures approximately 50cm from side to side and 45cm front to back. 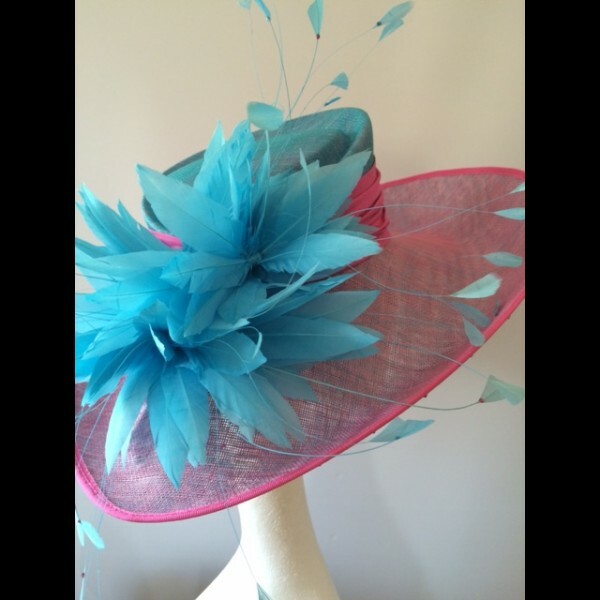 The cuffed crown is wrapped in matching ruched lipstick pink silk, with a large turquoise feather spray to one side. Fits an average size head - 57cm. A velvet hat pad can be fitted free of charge for those with a smaller head size. Samples of the sinamay & silk can be provided if you would like to colour match to your outfit. 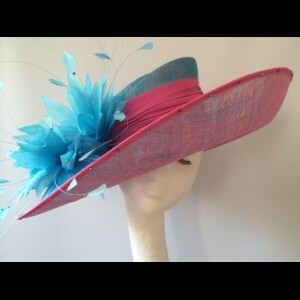 This hat can be hired for £50.00, Terms & Conditions of Hire apply.